The French born brand Lalique evokes the brilliance of jewellery, the wonder of transparency and the brilliance of crystal. The Lalique fragrances have a unique signature that combines creativity in its bottle design with a quest for exceptional quality within its fragrances. 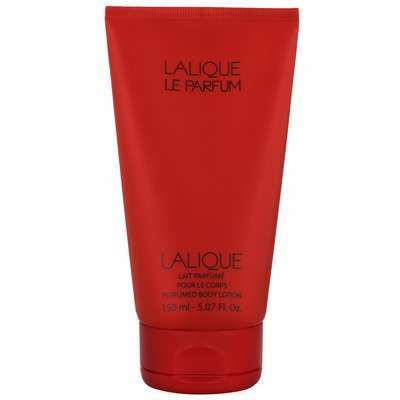 Experience Le Parfum by Lalique in a luxurious body lotion. Lalique Le Parfum was launched in 2005, it has a unique Oriental fragrance with top notes of Bergamot, Bay Leaves and Red Pepper. Middle notes consist of Jasmine, Heliotrope and Almond followed by Vanilla, Sandalwood, Patchouli and Tonka Bean.